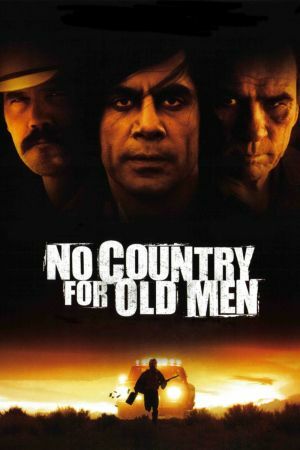 With NO COUNTRY FOR OLD MEN, the Coen Brothers have found a perfect match in Pulitzer Prize-winning author Cormac McCarthy. Their adaptation of McCarthy's praised novel is a staggering masterpiece. In this almost impossibly faithful adaptation, the film takes place in a small Texas border town in 1980. Sheriff Bell (a never-been-better Tommy Lee Jones) has ruled the land for years without the use of a gun, but a new brand of reckless lawlessness has taken over his town. Llewelyn Moss (Josh Brolin) is an innocent Everyman with a devoted wife, Carla Jean (Kelly Macdonald), but when he stumbles across a drug deal gone deadly and finds two million dollars, he's determined to keep it for himself. There's only one problem. He's being pursued by one of the most amoral, evil psychopaths that the big screen has ever seen. Wearing an absurd haircut and brandishing a pressurized weapon that's used to murder cattle, Anton Chigurh (Javier Bardem) creeps forward on his mission to track Moss down and return the money to its rightful owners to save his own skin. As the tension mounts, the body count begins to rise, confirming Sheriff Bell's inability to battle this new wave of modern brutality. The most striking thing about the Coen Brothers' thriller is their masterly use of silence to create an almost unbearable level of tension. Cinematographer Roger Deakins is once again at the top of his game, beautifully capturing this stark and lonely world. 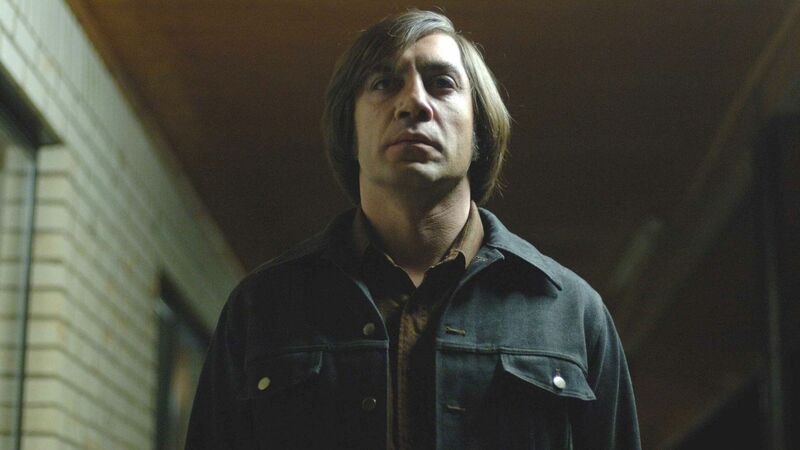 The well-rounded cast is clearly excited to be a part of such a stellar production--particularly Bardem, whose Chigurh is a freakishly mysterious monster, and is certain to haunt viewers long after the final credit has rolled. In a career filled with striking achievements, this might very well be the Coen Brothers' finest. It is filmmaking at its best.